We are glad to present the laureates’ latest news of the three last competitions. Click on a laureate’s name to know his/her biography and how to contact them. 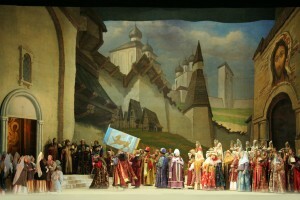 The Mariinsky Theatre invited Kalle Kuusava, the runner-up of the last year’s Competition, to conduct a new production: “The Maid of Pskov” by Rimsky-Korsakov. The premiere will take place on July 5th, 2015 during the “Stars of the White Nights” Music Festival. – On 3rd, 4th and 5th of June 2015 Andris Poga stands in for Maestro David Zinman to conduct the Tonhalle-Orchestra Zurich. – Andris Poga, winner of the 2nd Svetlanov Competition, is back from a triumphal asian tour of November 2014 with Munich Philharmonic where he replaced the late Lorin Maazel and Valery Gergiev. – October 2014 was also a very busy “russian month” for Robert Trevino, laureate of the 2nd Svetlanov Competition, with many concerts in Moscow : he conducted the prestigious Bolchoi Orchestra in Verdi’s Don Carlo, the National Philharmonic Orchestra of Russia in Berlioz Fantastique and Beethoven Triple Concerto with Vadim Repin, Nikolai Lugansky and Alexander Kniazev, and played at the Tchaikovsky Hall for the Galina Vishnevskaya Laureates Gala Concert. Share the post "News from the winners"